Insurance Bad Faith Trial Lawyers - Top 10 | $3.45 Million Bad Faith Verdict Affirmed Against Indiana Insurance Co.
$3.45 Million Bad Faith Verdict Affirmed Against Indiana Insurance Co. The Kentucky Court of Appeals affirmed a verdict against The Indiana Insurance Company for acting in bad faith during a drawn-out claims negotiation with the insured. James Demetre was a customer of Indiana Insurance since 2006. He insured multiple properties including his vehicle with Indiana for a total bundled policy of $2.5 million in liability coverage. In 2008, he acquired more property and increased his coverage for the new real estate with Indiana Insurance. Shortly after the new policy was issued, he received a complaint letter about one of his properties, a former gas station, from residents who lived nearby. Demetre filed a benefits claim with Indiana Insurance. The letter was turned over to Indiana Insurance for an adjuster to investigate. After one year without a resolution, the residents filed suit against Demetre and Indiana Insurance. The suit continued for two years without any resolution. In November 2011, Demetre filed a cross claim against Indiana Insurance. He claimed Indiana Insurance violated the Consumer Protection Act, the Unfair Claims Settlement Practices Act and breached its contract. •The trial court erred by not granting the motion for a directed verdict. •There was insufficient evidence to show Demetre suffered severe emotional distress. •Jury instructions were improper on the damages for emotional distress. •Trial court erred by excluding witness testimony. •The punitive damages awarded were excessive. The Court of Appeals stated the jury had ample evidence to support its decision that Indiana Insurance’s conduct toward Demetre violated Kentucky statutory and common law. Mahannare Harris, her six children and an adult partner (the Harris family) moved into a home adjacent to the former gas station in 2004. The family claimed gasoline seeped onto the property causing physical injuries and caused their property to lose value. The old gas station’s underground tanks were removed in 1997, prior to Demetre’s purchase, and the state environmental group had cleared the property as not being hazardous. The property had been vacant since 1962. More than three years after receiving notice of the Harris family’s claims and more than two years after the Harris family’s litigation commenced in 2011, Indiana Insurance finally settled with the Harris family for $165,000. Indiana Insurance issued a policy for the property in dispute, despite receiving notice from Demetre that the site was a former gas station. 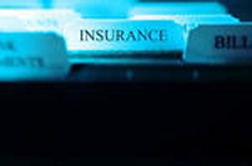 Generally, it is an insurer’s duty to provide defense representation to the insured party. The insured can reserve the right to defend against the insured claims, which is exactly what Indiana attempted to do. Indiana contended there was no coverage because Demetre may have known of the contamination prior to issuing the policy. After the claim request was denied, the insurance company continued to fight Demetre’s claim and filed a total of three cross claims against him. Demetre testified the fight caused him mental anguish and anxiety. Additionally, Demetre stated he spent close to $400,000 in litigation costs from August 2009 until February 2012. The Court of Appeals held the there was sufficient evidence for the jury to conclude Indiana Insurance acted unreasonably in various aspects of the claims process. First, the court explained that an insurer could not escape its bad faith actions by obtaining counsel for the insured. Although Indiana Insurance provided defense counsel and indemnified Demetre, the court explained there was evidence to show Indiana Insurance prohibited Demetre from receiving adequate representation. Indiana Insurance had the specific intent to deny coverage and controlled the first attorney assigned to Demetre. Second, Indiana argued that the emotional distress claims required Demetre to provide expert testimony on the severity of his distress. In response the court explained that Demetre had met the heightened burden of proving emotional distress when his case was submitted to the jury. Circumstantial or direct evidence was sufficient to show emotional distress. Third, the court quickly dispenses of Indiana Insurance’s argument on exclusion of witness testimony. This argument would only survive if the exclusion was prejudicial to the case and there is a reasonable possibility of a different outcome. Finally, on the issue of damages, in this case the damages were not disproportionate to the harm suffered by the plaintiff, the court said. Demetre was awarded $2.5 million in punitive damages, and $925,000 in compensatory damages. This case is: The Indiana Ins. Co. v. James Demetre, Case No. 2013-CA-000338-MR in the Commonwealth of Kentucky Court of Appeals. Counsel for the appellee, James Demetre was Jeffrey M. Sanders, Jeffrey M. Sanders, PLLC Covington, Ky.